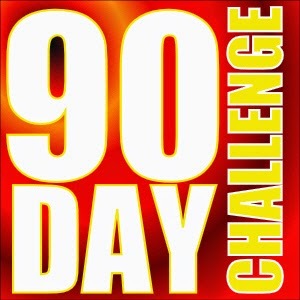 please commit to pray for 90 days! I was reading from 1 Thessalonians earlier this week and stumbled upon a rich section of scripture God wrote through Paul. Paul is excited and bragging about the faith he sees in those in Thessalonica. He quickly remarks on three different things he sees from his fellow servants in the gospel. 1. Your Work Produced By Faith: Paul is saying their work was a result of a passionate faith. Were their easier things they could be doing; less heart breaking things? Absolutely! !, I hear Paul yelling through his letter. But these dear people in Thessalonica continued in their work because of their trust and belief in seeing God have His way; and God having His way meant more to them than their comfort and security. Then as these people continued, their faith was made alive as God worked through them. 2. Labor Prompted By Love: Paul sees that their labor was not for selfish gain, but out of an honest love for the people they were seeing impacted with the gospel. I can picture Paul again writing this with tears in his eyes as he feels the love these people have for their city, praying that others may have the same love for the city that they might be co-laborers with Christ for the bringing in of God’s Kingdom. 3. Endurance Inspired By Hope: Lastly in Paul’s short list of encouragement he thanks them for their endurance that was and could only have been inspired in the hope that God would work. Even when things were tight, even when things looked grim, even when things felt like people might never change and see the pursuant love of the Savior Jesus these dear people in Thessalonica continued to press on, in the hope that their endurance would eventually bring fruit. I can relate with these three things so much through the planting of Awaken here in the Hampton Roads area. A Work that was only based on a clear calling and vision given by God to see people’s lives impacted world wide by planting in this extremely transient area. A Labor that could and should only be driven by the love of the gospel and seeing others impacted with the gospel as our lives have been impacted. An Endurance and perseverance that could only hinge on the hope that God would use and see this work through to His end. This summer Awaken is stepping into new areas that quite honestly are going to call for Continued Work Produced By Faith, a Labor that has to be Prompted by Love for this city and the world connected to this city, and a perseverance and Endurance that needs to be hinged and Inspired By Hope. We are asking people to commit to pray for the next 90 days through the summer for God to move here in Virginia Beach and Hampton Roads. Below are some things we need your prayer over. Over the last school year God took us through a re-envisioning process helping us better identify ourselves. This lead to “Healing In” (helping people hear from God and find healing in their brokenness), “Raising Up” (helping people raise to their fullest potential in Christ by having influence in people’s lives), and “Sending Out” (helping people to see their lives as their mission field for the gospel to expand). Pray that we are able to help our people find a healthy rhythm in each. This summer we will be bringing our Worship Leader Jeff on in a full-time capacity to oversee our “Sending Out” both here locally and abroad. Our people believing in this have committed to his salary over the next 2 years. Pray for smooth transitions and people to be able to keep their commitments. This summer we will be starting our very first youth ministry. This is an attempt to not only equip our present youth, but to help us as a church reach slightly older families with teens. Our current ministry is made up mostly of young families with kids. Pray for the beginning formation of this ministry and some students to really take leadership of it. We will be hosting our annual summer soccer camp July 7th-10th. We are praying for 450 kids to register, which is 150 more than last year. Pray for us not to only see kids come out for soccer, but pray that we are able to pick up a few families to become a part of Awaken. Some reached with the gospel and some that already know Christ and can step in and lead. Over this past year military transfers and job transfers hit us hard. We lost 8 people plus their families that were leading in different capacities. Some of these families were people we lead to Christ and saw God Raise into leadership. Others were families that had been with us for a long time. Pray that God replaces these different leaders in influence, heart, passion, and sacrifice both time and financially. Steve Howell will continue to pray for Awaken and will pray for Awaken daily for the next 90 days. Thanks for the prayers Steve! Excited for what God is doing here! !